Whether you're just welcoming a new pet into your life or you've had Fluffy for years, getting your pet the supplies they need for good health and happiness is imperative. 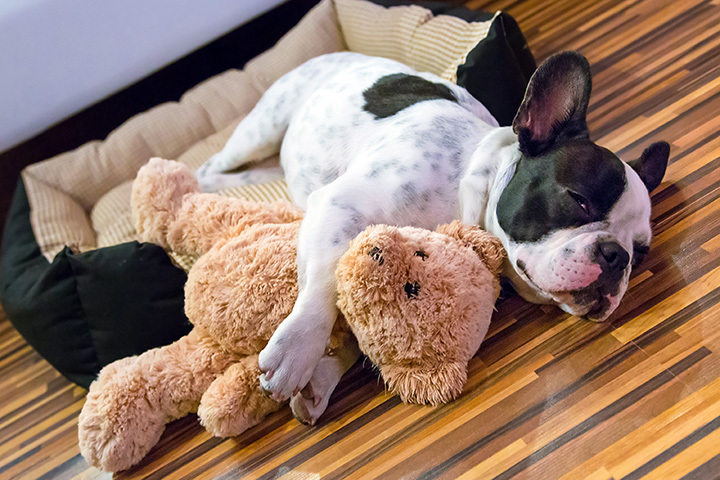 From dog beds to cat toys to decorations for your reptile's tank, Texas' wonderful pet stores cover all the bases. Here are our favorites. Rocky and Maggie’s Pet Boutique and Salon offers a wide range of dog and cat apparel, beds, blankets, crates, mats, feeders, collars, harnesses… just about anything you could need for your furry friends. They offer free delivery for orders over $100 and student, seniors, and military discounts. Woof Gang Bakery has locations across 12 states, including 20 across Texas. You’re never too far from a location, whether you’re in Austin, Katy, Plano, Dallas, North Richland Hills, Midland, and more. They offer retail options, grooming, self-service grooming, day care, pet resort, and a wellness clinic. Healthy Pet has three locations across Austin, including one each in North Austin, South Austin, and downtown. They specialize in dog and cat materials, including treats, food, collars, toys, and much more. Harlingen Pets specializes in exotic animals, saltwater fish, corals, aquarium sales, pet supplies, and dog and cat grooming. This local shop has been in business for over 20 years and continues to be a favorite among locals. Paleo Pet Goods says that they “have one simple mission: to support healthy, lifelong relationships between pets and their families by providing tailored service that is personalized to each pet’s individual needs.” In other words, they specialize in high-quality pet products, home delivery, and pet nutrition consulting. Noah’s Ark Pets and Supplies brings local pet store support to Decatur, Texas. They stock all the usual stuff you’ll need for your new four-legged friend, with a ten percent discount if you can prove that you’ve adopted a pet from a local shelter. They offer grooming services, too. Gallery of Pets in Austin, Texas, has been “dedicated to your pet needs since 1977,” according to their website. They specialize in fish and birds, but also sell guinea pigs, reptiles, amphibians, hamsters, and more. They offer bird boarding, too. Tomlinson’s has tons of locations across Texas, including Austin, Cedar Park, New Braunfels, Lakeway, Leaden, and much more. They specialize in dog and cat supplies and stocks brands such as Acana, BFF, Canidae, Holistic Select, Lotus, Koha, and more. Come in for dog and cat food, treats, toys, supplements, and supplies. Pet Ranch has been in Kingwood, Texas, for almost 40 years. According to their website, “Pet Ranch offers big store variety and pricing, plus educated employees who give one on one service.” They offer dog and cat grooming, snack bar, pet tag engraving, supplies, and more. Petland in Tyler, Texas, has been a locally owned and operated shop for over twenty years. They offer puppies, ferrets, guinea pigs, hamsters, and kittens, along with fish, snakes, lizards, scorpions, turtles, tarantulas, and birds. If you want a new pet, you won’t find a much better selection than Petland.